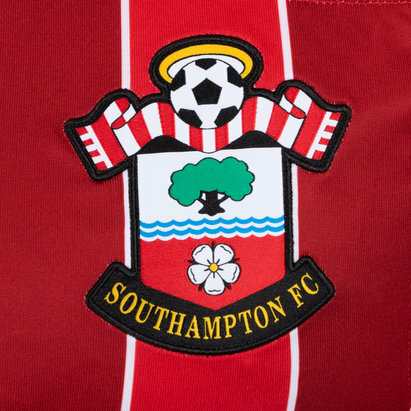 All dedicated Saints fans should get their hands on the new Under Armour 18/19 S/S Away Football Shirt which brings back the iconic 'Brazil' design. 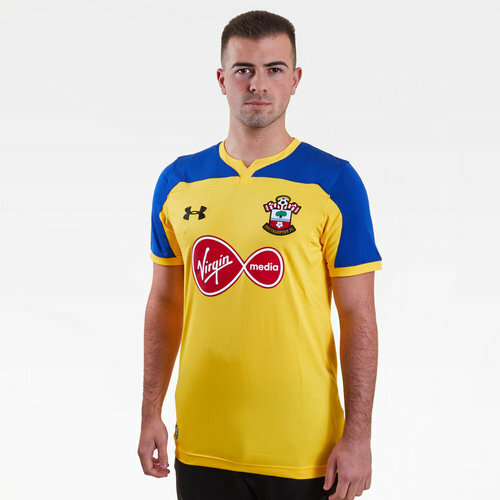 Southampton FC are English Premier League mainstays of late with this new away football shirt displaying that they mean business this 18/19 campaign. This jersey is predominantly yellow with blue shoulders. This kit brings back the iconic 'Brazil' design. It is based on the same template at the home shirt and is finished with yellow detailing on the collar and hem. The Under Armour and Saints crest are embroidered on the front on the right and left as worn, respectively. the club's sponsor - Virgin Media - is p0rinted across the chest. Made from 100% polyester material, Under Armour HeatGear technology within the fabric helps keep you feeling cooler, drier and more refreshed in the pressure of a match by drawing moisture away from the skin and quickly evaporating. The fabric is light and soft to avoid any skin irritation whilst using anti-odour technology, preventing the growth of odour-causing microbes. This is the ideal item to be worn by Saints fans on most occasions but perhaps most importantly on and off the road whilst cheering their team on. 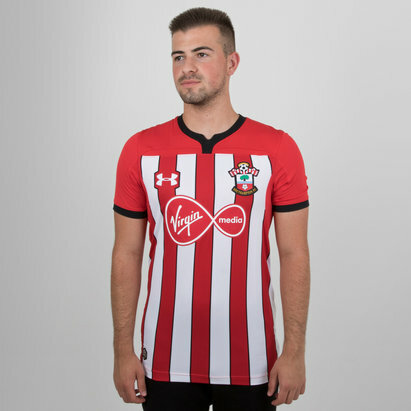 Grab this Under Armour Southampton FC 18/19 Away S/S Football Shirt and be the envy of those fans still to get off the mark.